Choosing the best lighting for your baby’s nursery seems like just the icing on the cake. Many moms and dads spend so much time picking out the crib, baby gear, and other furniture that they do not even think about what kind of lighting would be best. Before baby is born is the right time to be practical with everything; there is nothing worse than trying to check on your little one in the middle of the night and having to turn on the large overhead light! 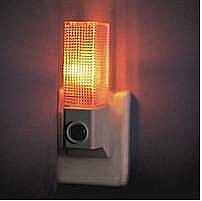 A nightlight is essential because as your little one ages, he or she may very likely develop a fear of the dark. This is very common, so providing a nightlight that is always on, even from the very first night you bring baby home, will help to alleviate some of that fear. A nightlight is something your little one will learn to trust in, and it may make it possible for baby to calm himself a little easier in the middle of the night if he can see the room a bit. Also make sure that you pick out a lamp. 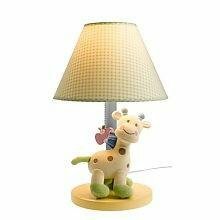 There are plenty of fun nursery lamps that will provide just a little bit of light in one corner of the room. Place the lamp across the room from the crib so that if you want to check on baby in the middle of the night without waking her, you can flip on the lamp without the risk of it shining in her eyes and waking her up. When choosing a lamp, make sure that you choose a lamp that sits on top of a nightstand or dresser and remember to hide the cords behind the furniture. Floor lamps can be a fire hazard in nurseries because they can be very easy to knock down, especially if baby can reach it from the crib. Another part of lighting the nursery involves making it easy to darken the space during the day. It is much easier for baby to take a nap in the middle of the day if there is not a lot of bright light shining on him. However, you also don’t want to block out all of the light because this can cause confusion about which time of day he is supposed to be awake. 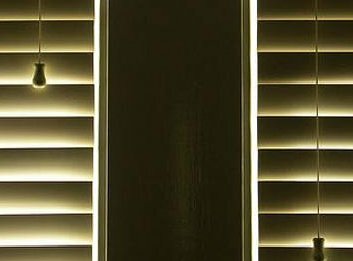 Look for a set of blinds that block out bright sunlight but still allow for some light to get through. The key is just a little bit of light, but not so much light that it’s hard to take a nap. Remember to keep cribs away from shades and blinds because the cords do prevent a very serious choking hazard. Guest post by BabyNurseryRooms.com, providing information about the best baby nurseries and nursery décor.